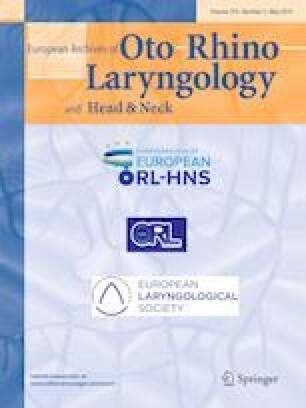 Human papilloma virus (HPV)-associated oropharyngeal cancer (OPC) is a special entity among head and neck squamous cell carcinomas (HNSCCs). Given its favorable prognosis, one of the de-escalating strategies in the treatment of OPC includes the introduction of cetuximab (C225) instead of cisplatin (CDDP) in conjunction with radiotherapy. An updated meta-analysis of published studies has been performed, which directly compared the efficacy of CDDP vs. C225 given concurrently with radiotherapy as definitive treatment of p16-positive OPC. A systematic literature search was performed for studies published between 2006 and 2018. A total of 1490 citations were obtained and 8 studies met inclusion criteria, with a total of 1665 patients. The data from seven studies were available for the analysis of 2-year overall survival (OS). Calculated pooled OR for CDDP-based chemoradiotherapy vs. C225-based bioradiotherapy, was 0.45 (P < 0.0001). The data from eight studies were available for the analysis of 2-year locoregional recurrence (LRR). Calculated pooled OR for CDDP-based chemoradiotherapy vs. C225-based bioradiotherapy was 0.35 (P < 0.0001). Patients receiving CDDP with irradiation had 2.2- and 2.9-fold decreased risk for death from any cause and LRR, respectively. For patients with HPV-positive OPC, radiotherapy plus C225 showed inferior OS and higher LRR rates compared with radiotherapy plus CDDP. CDDP-based chemoradiotherapy should remain standard of definitive treatment of p16-positive OPC. We disclose any commercial associations that might pose a potential, perceived or real conflict of interest with the content of this article. These include grants, patent licensing arrangements, consultancies, stock or other equity ownership, donations, advisory board memberships, or payments for conducting or publicizing the study.